We realize that not everybody has the time or budget to take a online Arabic classes with a native Arabic tutor. The free Live Lingua Arabic courses are here to make language learning accessible to everybody. Our Arabic material contain 1 Arabic courses, 1 ebooks and 0 audios. Just select the course you want to use and enjoy! 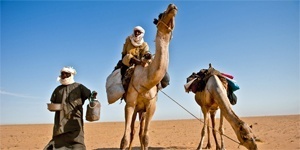 Chadian Arabic is one of the regional colloquial Arabic languages. (The term "Shuwa Arabic", found in 20th-century Western linguistic scholarship, properly refers only to the Nigerian dialects of this particular language, and even then, "Shuwa" is not used by those speakers themselves.) It is the mother tongue for over one million people, including town dwellers and nomadic cattle herders. The majority of its speakers live in southern Chad. Its range is an east-to-west oval in the Sahel, about 1400 miles long (12 to 20 degrees east longitude) by 300 miles north-to-south (between 10 and 14 degrees north latitude). Nearly all of this territory is in the two countries of Chad and Sudan. It is also spoken elsewhere in the vicinity of Lake Chad in the countries of Cameroon, Nigeria, Niger. Finally, it is spoken in slivers of the Central African Republic and South Sudan. In addition, this language serves as a lingua franca in much of the region. In most of its range, it is one of several local languages and often not among the major ones?